This 3-star hotel in the lively Friedrichshain district of Berlin offers soundproofed rooms, free Wi-Fi, and Mediterranean food. The Warschauer Straße underground and city rail station is 300 metres away. 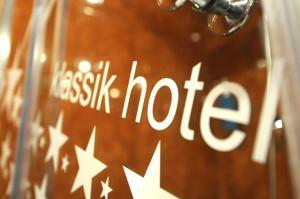 Each room at the non-smoking Hotel Klassik features cable TV, a safety deposit box, and a private bathroom. Some also feature air conditioning. 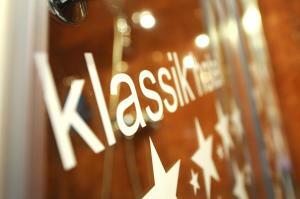 Rich breakfast buffets are provided at the Klassik. In the evenings, a selection of Mediterranean dishes are served in the elegant bistro. 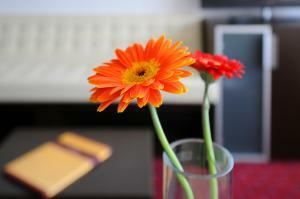 Guests can relax in the bar or on the garden terrace. 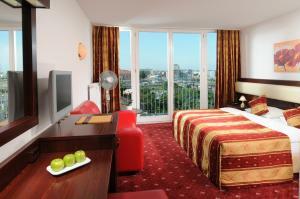 The O2 Arena events venue is only a 10-minute walk from the Hotel Klassik. Many clubs and bars are also within easy walking distance. Direct trains travel from the Warschauer Straße station to the famous Alexanderplatz square in just 7 minutes.